Thanks to allmynotes organizer app all your valuable data is stored safely away from other people, secured by password, in a single, encrypted file, and records are arranged into a flexible outline tree structure. Where do you usually keep all your sensible private notes, like, access codes, passwords, random ideas, secret memos, reminders, phones and urls. Did you ever found yourself lost in tons of papers, stickers, and random text files? Now, there is an exceptionalsolution. An ultimate outliner for managing any info. It s the best solution of tools for capturing diaries, notes, thoughts, letters, urls, contacts, ideas, quotes, access codes, goals, access info, and simply unlimited number of other things. 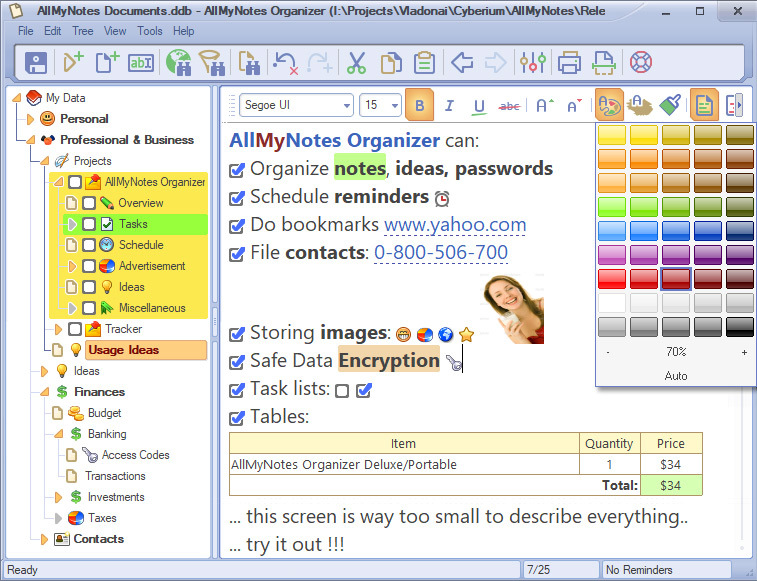 AllMyNotes Organizer Deluxe Edition is an utility that works under windows xp, windows vista and windows 7. It supports both 32-bit & 64-bit windows editions, therefore it could run faster on 64-bit computers. Estimated download time for AllMyNotes Organizer Deluxe Edition on a common adsl connection is less than a minute. 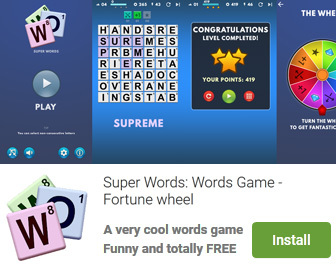 Version 3.29 is brand new and was released twenty two days ago by Vladonai Software. Click the green download button to download it now.